The emergence of the pop-up has changed a corner of the retail landscape and created a new and exciting platform for brands to showcase a different side to their personality. This short-term format gives a brand the opportunity to show the best of what they do in a short, sharp burst, which is a surprise for the loyal follower and an attraction for the yet-to-be-converted. Fitting out shipping containers for a fully transportable store (Uniqlo); landing temporary fixtures and fittings in a vacant space that doesn’t necessarily reflect the brand (Louis Vuitton); a beach house built on a New York sidewalk creating a full-on brand experience (Tommy Hilfiger)… the purpose can vary, but whatever the reason, it creates a buzz. Moving away from the traditional high street retail unit is a more playful approach and customers respond to the novelty of this. 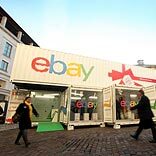 The temporary nature of the pop-up attracts ‘brand faithfuls’, as well as new customers who are driven by curiosity to shop and experience the store. Social media and cleverly timed marketing campaigns further increase exposure and become talking points on a global scale. Levels of investment can vary, but the imaginative nature of the pop-up allows brands to be freer with their expression. Big brands can relax… ramping up quirkiness and fun and truly reflecting their ‘brand DNA’, without worrying too much about longevity or seasonality. Due to space restrictions, product selection has to be more concentrated, generally coinciding with launches, collaborations or limited edition collections, and creating an edited choice, hence a stronger story for the customer. By contrast, vacant shop units on the high street have created an opportunity for much smaller start-up brands. Ordinarily they would struggle to afford the rental to get the exposure they need to be successful, but pop-up shops in vacant units are a vital opportunity for start-ups to test the market, with low financial commitment. The benefits are twofold: the new brand has a place on the high street – gaining maximum exposure to the local market and testing their business – and the landlord has occupied shops which can offer more than mainstream retail. Independent brands are a point of difference for the shopper. The trend continues to gain momentum, with positive results. It seems that pop-up is a credible and profitable way to go, whoever the brand, whatever the size. Time is a key factor however; the emphasis for these stores is the opportunity for shopping the temporary space combined with an element of ‘limited edition’. As their popularity grows and they start to feel established, the temptation is there for a pop-up to stay around a little longer... the question is, when does pop-up become permanent?